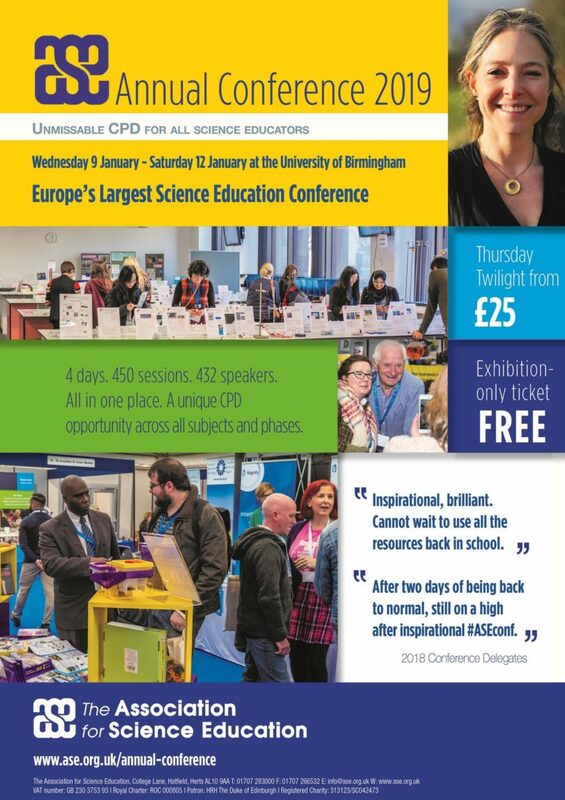 The ASE Annual Conference attracts science educators from across the UK and beyond to share good practice, research and practical ideas for the classroom. The conference also hosts an exhibition with over 100 other organisations, all focused on great STEM education. This year the conference will take place at the University of Birmingham 9th-12th January 2019.